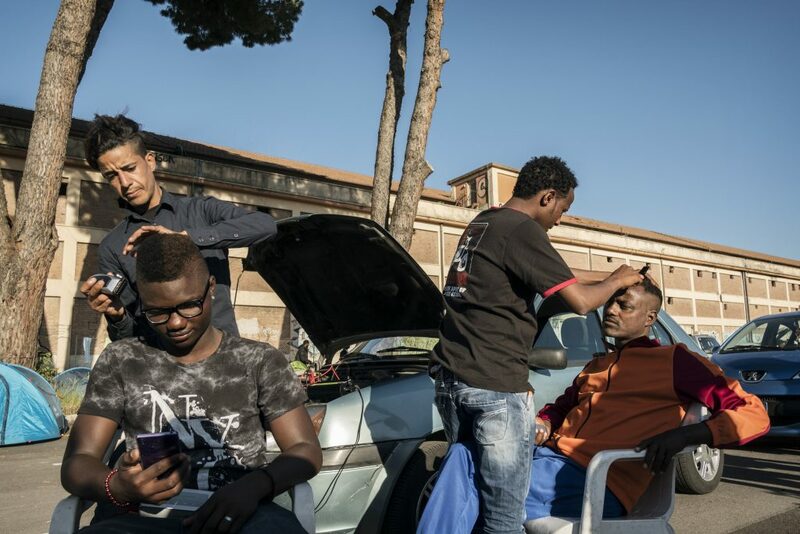 Rome is still the only European capital without an official plan for migrants. 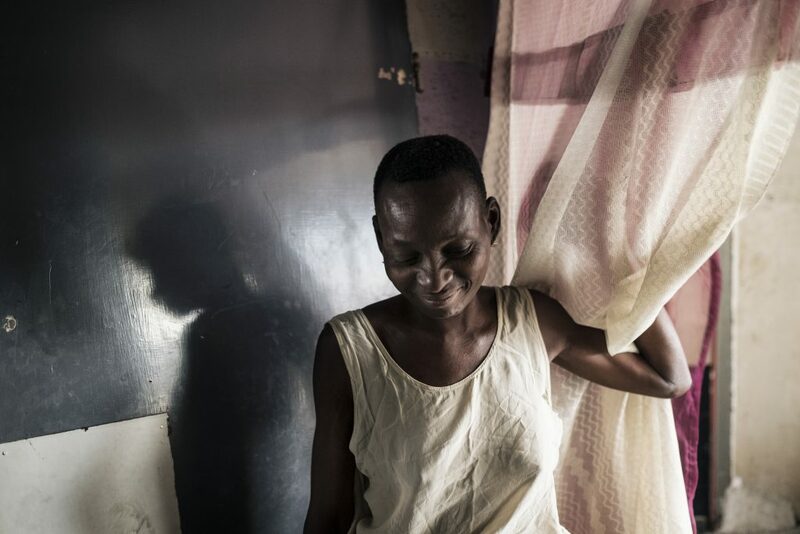 From the open space where Baobab Experience acts as the reference point for the city’s operations room (while being periodically subject to evacuations), to the Intersos centre for unaccompanied minors; from the Red Cross centre whose lease from the City is up every six months, to the discovery that hundreds of people were left to fend for themselves on Via Vannina; from the false alarms to the actual figures regarding arrivals, to the failed attempts at establishing an official hub, to the answers from the National Railways and the silence from City Hall, Eleonora Camilli mapped out the situation in the capital. (Please note that this report was published in Italian before the violent evacuation of Eritrean refugees in August, first from a building in Via Curtatone and then from a protest sit-in. This piece is meant to be an overall picture of the situation. We are working on a new report on the ongoing story of evacuated Eritreans, in English translation as well – stay tuned). Everybody knows it even though the authorities ignore it, at least formally. That name, Piazzale Maslax, dedicated to the memory of a young man who took his own life in a reception centre, does not exist on the official maps of Rome, but it’s there in the address books and the messages of hundreds of migrants arriving in the capital who receive first assistance there. Someone even geotagged it on Google Maps to make it easier to find Baobab, an informal camp that exists thanks to volunteers and that is periodically evacuated by law enforcement officers. 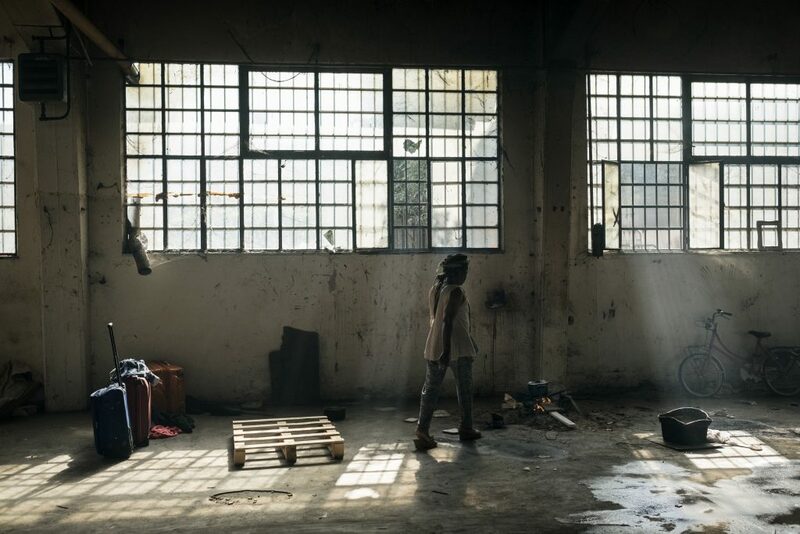 The irony in the capital’s migrant reception system begins right here, in an old bus garage behind the Tiburtina station where camping tents have been pitched to accommodate 100-150 people every night and where there is no electricity or running water; a camp supported only by activists and groups working hand-in-hand with migrants, from Medu to Diritti del cuore, to the Support Network for Migrants in Transit, which includes A buon diritto, CIR and Action. 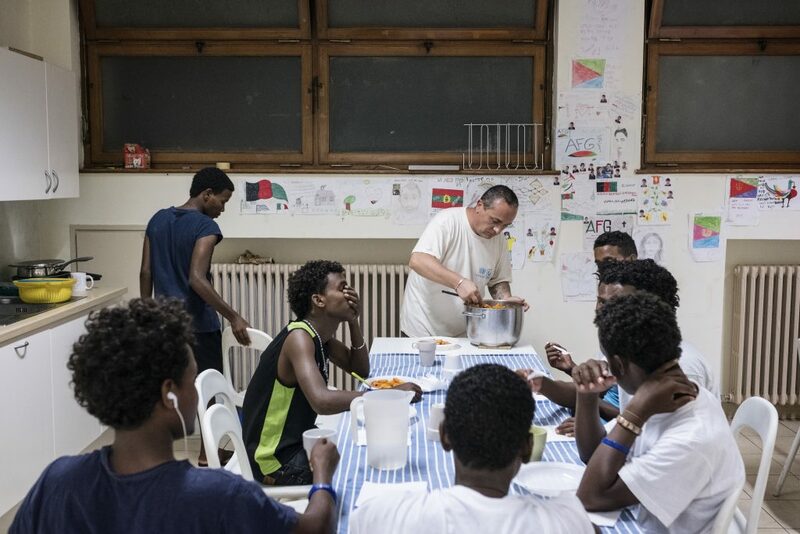 Even in the SPRAR and Extraordinary Reception Centres (CAS), numbers have remained low: according to data from the prefecture, there have been 5,581 requests for international protection from the centres, including the CARA of Castelnuovo di Porto, where most people are awaiting relocation. In addition, 3,000 more have been taken in by the SPRAR network. This brings the total number to about 8,000, well below the 11,000 quota that falls to Rome under the agreement between the state and the regions. These figures were released following a letter that the Mayor of Rome sent to Prefect Basilone that called for a moratorium on new arrivals in the city. However, the city’s plans on immigration are still hard to decipher. Councillor Laura Baldassarre has spoken repeatedly of a hub like the one in Milan for first reception to be be established near Tiburtina station. But the plan has apparently fallen through following protests from some of the residents. 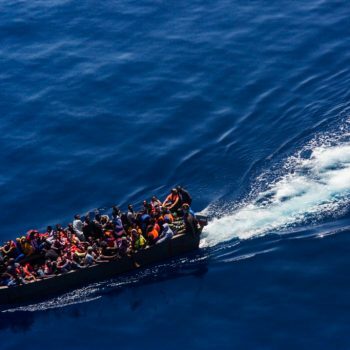 Negotiations with the humanitarian groups, one of the first official acts by Baldassarre, were also interrupted suddenly after months of meetings to find a structural solution. But whether more evacuations will follow, or an actual collaboration between the city and civil society groups is in the works, is difficult to guess. 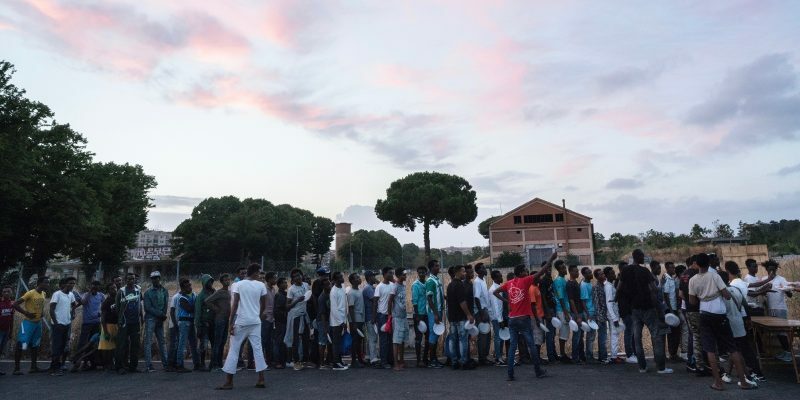 Open Migration asked the City of Rome to answer some of the questions on migrant reception, but despite repeated requests, we never received an answer. Cover image: people lined up for dinner on Piazzale Maslax with Baobab Experience (all images in this article by Francesco Pistilli). Translation by Francesco Graziosi. Proofreading by Alex Booth.